Cleaning your commercial building’s ventilation system is probably something you do not think about very often, if at all. Did you know that duct cleaning is necessary to remove the dust, bacteria, and other contaminants that have accumulated in your ductwork over time? In fact, neglecting to have your HVAC system cleaning can result in as much as a 20 percent decrease in energy efficiency. 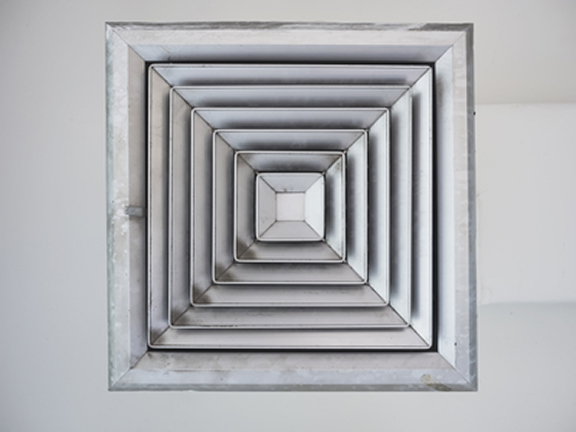 Not only do dirty air ducts cost you more money, but they can significantly decrease the quality of indoor air that the occupants of the building breathe. Even if your commercial building is new, air duct cleaning can still be necessary; drywall dust and other building material waste can become trapped in your ducts and contribute to poor indoor air quality. Economic Savings– Proper adjustments mean peak operating conditions, which saves you money on utility costs and saves on energy usage. Peace of mind– Annual inspections, scheduled at your convenience, will ensure that your heating and air conditioning systems are operating at peak efficiency and potential problems could be spotted before they cause you any inconvenience. Longer Product Life– Regular maintenance ensures that your system is running efficiently and correctly, extending the life of your equipment. Air Duct Cleaning is one of the healthiest improvements you can make to your business. Commercial duct cleaning requires extensive expertise in proper containment and cleanup procedures. Performing commercial air duct cleaning without experience or the proper equipment can jeopardize the well-being and protection of the building’s occupants. The experts at Hudson Valley Contracting & DKI follow strict guidelines and procedures to ensure that your HVAC systems and ductwork are properly decontaminated and cleaned. Individuals smoke in or around your building. You have recently completed a remodeling project. You are moving into a new facility. The air return vents are on or located next to the floor. Contact Hudson Valley Contracting & DKI for a commercial duct cleaning estimate. An experienced professional will inspect your system and discuss a plan of action with you. We work with your schedule to provide commercial duct cleaning at a time that is most convenient for you and your business.